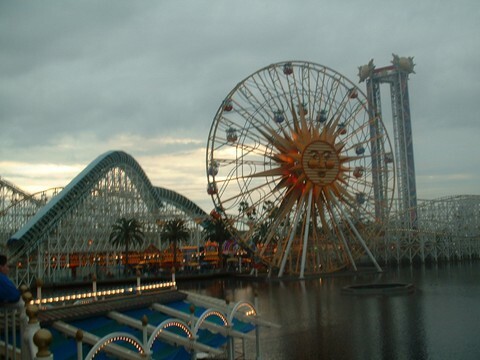 With the barest of acknowledgement from Disney officials, Disney California Adventure Park slid through its 12th anniversary a few days ago (February 8 to be exact). 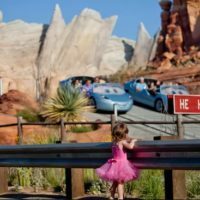 Coming off its best year ever following the opening of Cars Land and Buena Vista Street last June, the last thing Disney wants to do is remember more than a decade of ridicule and missteps with what was a poorly conceived Disney park. Disney won’t really admit to that of course. It is more their position that DCA on Day 1 was just the beginning of an adventure and eventually the park will grow and change and become the park Disney always knew it could be. It just took a very long time to get there. Or did it? My first encounter with the Superstar Limo Attraction. It was already closed in 2002. There is no doubt that DCA faced an uphill climb since the moment it threw open its doors in 2001. A park that celebrated California living? Since, by far, the largest percentage Disneyland Resort visitors actually come from California, a park about California held little in real interest. “We know, we live here” was pretty much the reaction. There was little to do for younger children outside of Jumping Jellyfish and King Arthur’s Carousel. For grown-ups, after paying the hefty admission to get in, Disney thought you would more than happy to shell out more big dollars for high profile dining from Wolfgang Puck and Robert Mondavi. For attractions there was the skin crawling creepiness of Superstar Limo, the thrills of California Screamin’ while fun, lacks any Disney theming whatsoever, and that silly looking half peeled orange. If you want to be honest about it, only Soarin’ Over California and Grizzly River Run could be considered great Disney rides and GRR might be a stretch. Much of DCA was off the shelf, out of the catalog, carnival rides. Year 1 of DCA – not good. 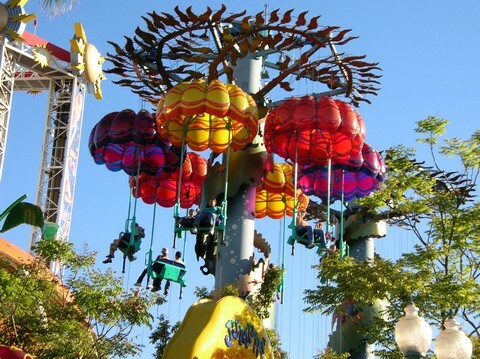 Jumping Jellyfish – one of the few rides a child could actually enjoy in DCA when it opened. 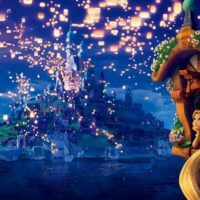 It is my opinion that Disney pretty much saw the failures of DCA that very first year and has been on a steady path to correct the problems ever since that time. The push to make DCA all it could be didn’t start with 1.1 billion dollar made over a few years ago. Improvements were made to the park well before that time. After the first year, Puck and Mondavi left, Superstar Limo closed, and changes needed to be made. The first change that was needed had to do with children. It started with a hastily prepared It’s Bug’s Land which would give kids something to do. Nothing in Bug’s Land is earthshaking or groundbreaking. It is 4 off the shelf rides given a quick Pixar makeover from the movie It’s a Bugs Life. And for me, even though my son is well beyond the age demographic these rides aim for, I am perfectly fine with It’s a Bug’s Land. 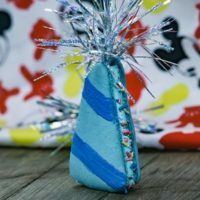 It has charm and if you are 4, 5, or 6 years old, then it is a delightful little place. It occupies such a small footprint of space but still, countless numbers of wannabe park imagineers want to get rid of Bug’s Land and put in something else saying that it is a waste of space. What they are usually saying is “I have no interest in kiddie rides. Put something in that I might actually be interested in.” Well Disneyland and DCA is for everyone, not just you. Like it or not, It’s a Bug’s Land gave DCA something it needed and was an improvement. What could be more delightful than flying through the air in a box of Chinese Take-Out on Flik’s Flyers? Next big improvement – say ‘hello’ to the lavish production of Aladdin at the Hyperion Theater which began in January 2003 and has been packing in cheering audiences ever since. For many, Aladdin, for the longest timel was the single best attraction in DCA with its wise-cracking Genie rattling off constantly changing topical material with spectacular sets and beautiful music. Aladdin is nothing short of a fantastic experience. It has lost a little with the removal of the flying carpet “A Whole New World” sequence which was easily the highlight of the show due to the carpet malfunctioning incident almost 2 years ago but it still the best of Broadway in a condensed 45 minute package. I got to say I am envious when an expanded Aladdin hits New York’s real Broadway a few months down the road. I have a feeling it will be stage entertainment at its very best. Aladdin was a huge step forward for DCA. 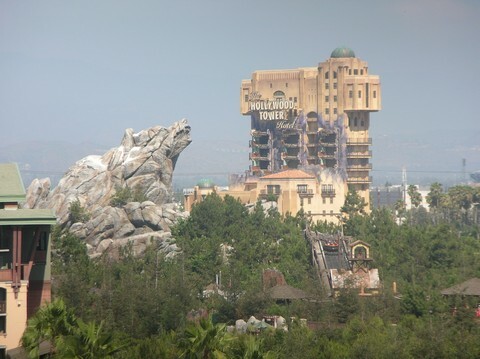 A View of Grizzly Peak and the Hollywood Tower of Terror (under construction) from the Disneyland Hotel. Next big improvement – construction of the massive Hollywood Tower of Terror thrill ride, a slightly modified version of the ride that first in appeared in WDW’s Disney Hollywood Studios. Say what you will, whether you go on the ride or not, the huge hotel structure leaves a lasting impact. Tower of Terror is a Tower of TERROR for Some! For smaller improvements think – Monster Inc. replacing Superstar Limo. Monsters Inc. is not a great dark ride but it is serviceable and a big improvement over what once occupied the same building. 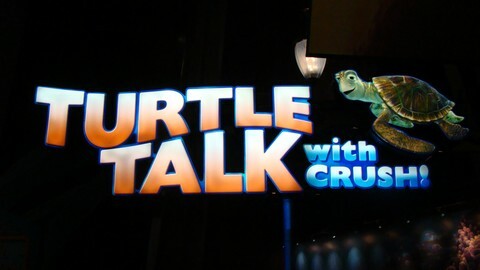 How about Turtle Talk with Crush, a delightful 20 minute show in the Disney Animation Building. Since Crush is depended on audience participation the quality of the shows vary with the audience but when you hit a good one, it’s great. I make it a point to check out Crush on every one of my trips. If you want to see the smallest amazing attraction in DCA, walk over to the other side of the Animation Building and check out the Toy Story Zoetrope. Not much bigger than a phone booth but watching it in action is jaw dropping. Along the way, DCA hosted the popular Disney’s Electrical Parade for a time. Regrettably, it also ran the rather poorly conceived Block Party Bash Parade (not everything that was trotted out in DCA was a winner) but Block Party Bash gave way to the far superior Pixar Play Parade and things were back on the right track. 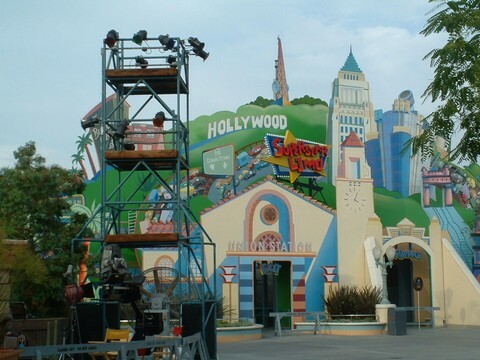 The single point of time where DCA really turned the corner was the opening of Toy Story Midway Mania, a ride that appealed to everyone from 5 to 75. With the opening of Toy Story Mania, the announced changes for the rest of Paradise Pier, and the construction of Cars Land, and Buena Vista Street, the transformation of DCA was well on its way. One other spectacular improvement – World of Color. It’s not a perfect park yet. Another “land” would be appreciated. The 3D shows need some updating. It would be nice to have a round the park transportation system. I wouldn’t mind a little more shade being added here and there but all in good time. DCA has made the transition from “What the heck” to “Half Day Park” to “Now this is a Disney Park”. It only took about 11 years to get there. 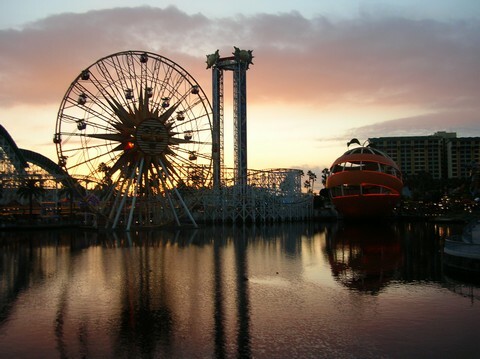 Make sure to share this article with friends who have endeared the 12 year rapid fire carpet ride of improvement through California that is California Adventure. I highly suggest that you head out to the west coast and visit Walt Disney’s original magic kingdom. 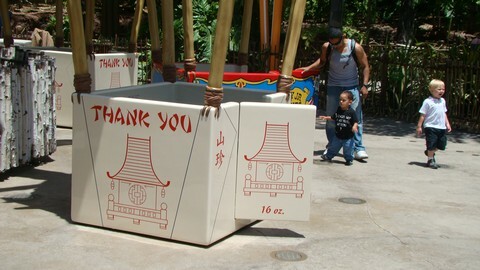 Went to DCA in ’06 when the 50th anniversary of DL was happening. Had a blast!! Turtle talk was hilarious and the Tower of Terror was great! Taking my toddler in April and can’t wait to see what he likes. It will be very different experience with a little one.